﻿ July's Haven Seaside Pension, Camiguin | FROM $20 - SAVE ON AGODA! "We had a great week long family vacation in the beach house..."
Have a question for July's Haven Seaside Pension? "The staff were all very nice and accommodating." "We really enjoyed snorkelling in the beach of the property." "Overall , it is a great place to stay if you have tight budget." "The staff were very kind and made us feel very welcome." 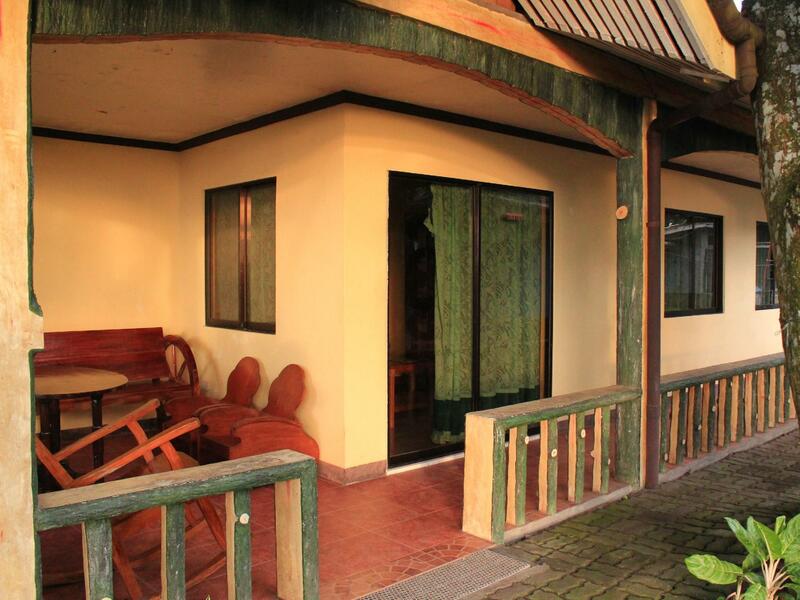 For travelers who want to take in the sights and sounds of Camiguin, July's Haven Seaside Pension is the perfect choice. With its location just 7 km from the city center and 6 km from the airport, this 2-star hotel attracts numerous travelers each year. For those of you who want to venture out, White Island, The Sunken Cemetery, Camiguin Airport are just some of the attractions available to visitors. 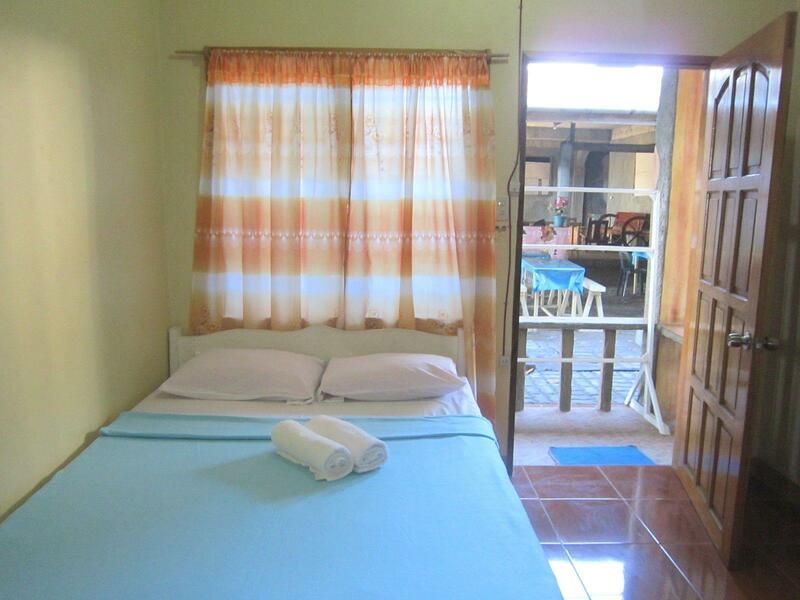 July's Haven Seaside Pension also offers many facilities to enrich your stay in Camiguin. Free Wi-Fi in all rooms, express check-in/check-out, Wi-Fi in public areas, car park, room service are just a few of the facilities that set July's Haven Seaside Pension apart from other hotels in the city. All guest accommodations feature thoughtful amenities to ensure an unparalleled sense of comfort. Throughout the day you can enjoy the relaxing atmosphere of the diving, massage, garden, water sports (non-motorized). With an ideal location and facilities to match, July's Haven Seaside Pension hits the spot in many ways. "Great place, peaceful, clean, accommodating staff." Good location just on the beach. Rooms simple, but acceptable. Free English-type good breakfast. WiFi Ok (as for Phillpinian standard, which means very slow comparing eg. to Thailand). Upon request the hostel may arrange a lift from/to the airport (PHP 250 OW) or the sea port (PHP 300)., Price is for a ride, so the more you are the less your pay. 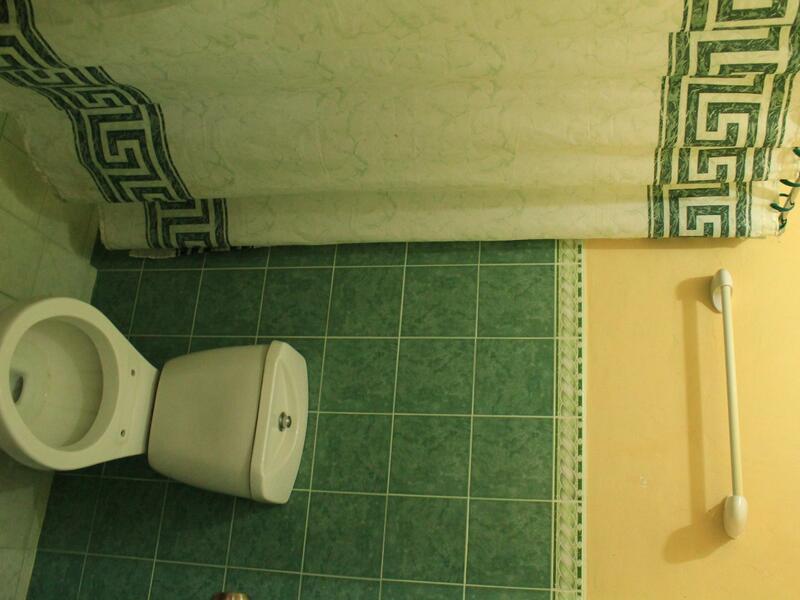 However, the price of accomodation is a bit too expensive as for the Phillipine standard (PHP 1100 = USD 22.00). Nevertheless, the place is recommended to stay. Good standard of accomodation as for the Philippinian standard. Excellent location on the beach. Friendly staff. English-type breakfast included in price. WiFi connection rather poor, but it is typical for the country. Affordable transfer price from/to the airport and seaport in Balbagon (PHP 250 and 300, respectively to share among all passengers). Generally, place recommended to stay. This place is a home away from home in which we could do the cooking. We really enjoyed snorkelling in the beach of the property. The only bad thing is the fowl smell from the garbage placed just beside our room. Overall , it is a great place to stay if you have tight budget. This resort is not that fancy but resonable price and cozy atmosphere. The staff is friendly and the location is close to the airport. The staff were all very nice and accommodating. They helped us get Lanzones for pasalubong. They also let us borrow plates and utensils for use at their inn. They have a vehicle which can pick you up at Benoni port and serve as transpo for tour too. The guide might have to improve though - can share some interesting stories about the place next time. July's is well located on a beach with good access to a number of highlights (White Beach sandbar, warm springs, sunken cemetery, ruined church etc). They only serve breakfast but are happy to lend plates etc for any dinner brought back. The rooms are actually enough for 4 though we were only 2 and at that price they are excellent value. We had our logistics arranged by a friend but July's can also offer this. booked 1 night. after check-in we decided to sleep in another hotel. the room is very simple equipped. ground level. you can hear all customer passing by. but the worst... the disgusting smell inside the small room. we couldn't sleep there even full paid. Value for the money super yes. We can cook in the beach house. Thanks to the staffs who are very willing to help us in our needs. I recommend this place to stay if you are not that hi-end person. You can stay at July’s Haven Seaside Pension. Thank you so much. Amazing staff very accommodating! Even our tour guide kuya DONALD is amazing. My husband and I love the place because it's quite and you can see white island from the resort. I love the intelligent parrot! and I just hate the mosquito but over all I will recommend this to my friends. This place is located in Mambajao. Close to many tourist attractions like White Island Terminal, Katibawasan Falls, Sunken Cemetery, and many more. This is the best place to stat if you are travelling as group / family and on a tight budget. They also serve free breakfast (Choices : Hotdog, longganisa, tocino, corned beef, with egg, mill/coffee and fruits) please DO NOT expect much from the room since you are paying a very cheap room. The bathroom has hot water, the ac in the room works well. I would totally recommend this hotel to budget travellers. Great place, peaceful and quiet. Accommodating staff. Will stay here again. Great for the price, staff bent over backwards to help us, basic accommodations but the air-con worked!! Great place, peaceful, clean, accommodating staff. We will be back. It is easy to commute using motorela from and to the airport (Php10 per person only). You can also stay long in the White Island and just ask the boatmen to bring you to July's Haven (just add Php50). All the staff were kind and helpful. If you have questions, do not hesitate to ask. It was fun when my friend and I stayed there in Camiguin. The place was good, the staff was nice and very helpful. We had a great week long family vacation in the beach house and loved it. It’s no frills, basic living, but that’s what we were looking for. The kitchenette was furnished with everything we needed to do our cooking and it’s about a 15 minute tricycle ride to the main market in Mambajo for shopping. The staff was the best. They were very helpful with all our planning and arranging our transport. They even loaned us Tupperware for picnic lunches. Camiguin really lived up to its unspoiled reputation.